After many years of practicing dentistry. Dr. Quan Le is more passionate about his profession than ever before. With a particular zeal for cosmetic procedures, he has undergone extensive training in cosmetic and restorative dentistry. Dr. Le completed advanced bone grafting at The Medical University of South Carolina and received training in implant placement at the Zimmer Institute. He was an adjunct clinical professor at the Medical College of Virginia, in Richmond, Virginia where he earned his Doctor of Dental Surgery in 1993. He is a certified provider for the Pinhole Surgical Technique. 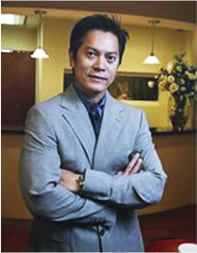 He was nominated for one of America Top Dentist 2007, 2008, and 2011 by Consumer's Research Council of America and The Best of Dentistry in Vienna for three consecutive years from 2014-2016. He is a member American Academy of Cosmetic Dentistry, Fellow of Academy of General Dentistry and a Fellow of The International Congress of Oral Implantologists. Dr. Le is one of 4 dentists in his family and 3rd of 8 children. In his spare time, he and his siblings give back to the community by volunteering for missions locally and oversea with Operation Smile and Hope for Tomorrow.